Kevin: "He also mentioned a Mary Rumph (I know nothing about this person or how she fits into the scenario)." Rumph was Mary G. Mayes maiden name. 'Mayes', her first husband, 'White', her second. She was with the PHS at the time, either at NTS or Kirtland, or maybe both. 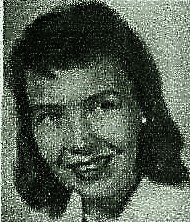 "We have found, or rather Don Moar reported, that Mary G. Mayes is listed as a junior in the University of New Mexico 1959 Yearbook (page 42). He also reported that she had two years of college in Texas, but then she seemed to have claimed that she had attended NMIMT at some point so that she was familiar with the Socorro area." That sounds like me, but I am not Don Moar; my surname is Ecsedy. I don't know if she attended NMIMT, but she was a listed speaker at a conference there held on 4/11/64, so some there in the week of the 24th might have remembered her . I'll poke around on the Senn connection to Mayes, if any. Thank you for this research. This is interesting: someone in this case knew Mayes' maiden name. She did not revert to it after the marriage to Robert Mayes had ended. This is working out as I planned. New information coming in all the time. Only had to update the article a couple of times so far. For those interested, another question answered. Col. Louis DeGoes (perhaps a physicist by education) was the head of a three-man team of officers—Majors Boyce M. Smith and Bruce A. Dolan were the other two—appointed by the chief scientist of the FTD to monitor and review Blue Book’s operations in 1966 and submit a report regarding its future. McDonald frequently referred to the three as “DeGoes and Co.” While they weren’t officially part of the Blue Book staff, as far as I can determine, they nonetheless assisted Blue Book and sometimes dictated its actions. DeGoes, in particular, was instrumental in McDonald obtaining a copy of the Robertson Report and had suggested to McDonald at one point that he might be employed as a consultant with BB. This, of course, never eventuated. By August 1966, DeGoes and his compadres had left Blue Book and vanished from McDonald’s life. They presumably had submitted their report. Kevin, one of the witnesses at the Senn wedding, probably the Best Man, was Vincent G. Rumpf. I just found the marriage certificate online. I don't know how he was related to Mary. Perhaps he'd have recognized the name 'Rumpf' if he had heard it. It is possible he only knew her as, for example, 'My friend Vinnie's cousin Mary'. Maybe. We're still left with the evidence Mary is said to have collected, but it does look like she did know Senn. After Christmas I'll put up the docs on my site. "At any rate, she [Mayes] claimed to have found an area of melted sand near the burned bush and recovered it, taking it to her lab for analysis. Once that was completed, the Air Force arrived, confiscated all the material and her notes, and told her not to talk about it." Doesn't this say it all? It is such a common theme in ufology that I am surprised anyone takes this kind of statement seriously. Some anonymous official arrives, confiscates valuable material and tells the witness not to say anything more about it. 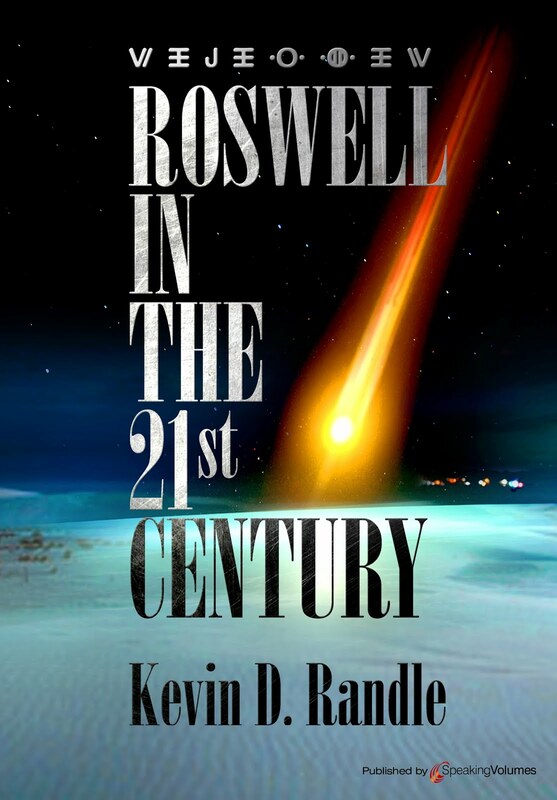 It happened with Roswell didn't it (several times I believe) and with other cases? All this means is that should any real UFO hardware or any other hardware connected with a UFO event be located by a civilian, the guys in uniform will soon find out and descend upon the unlucky possessor of this material, take it away and warn the person to keep his or her mouth shut (under the threat of death in extreme cases). That is how ufologists make (or rather do not make) progress! The odd thing is that this only seems to happen in the USA. of interest crashes anywhere on this planet, some government will attempt to retrieve it. The Glomar Explorer, built by Howard Hughes, was used to retrieve a section of a Soviet sub. Some have speculated that the true purpose was to retrieve Alien vehicles from the ocean floor. What our government cannot seize legitamately it can always break in and steal. in Columbus, OH. Look up who they are, what they do, and when they were founded. If Alien technologies were ever found, that is where it would end up. But noone talks about it. cda,if I'm interpreting your above comment correctly, you are criticising the consistency present in certain aspects of the UFO phenomenon? I find this to be a strange stance for you to take. Complaining about consistency puts ETH'ers in a no win situation. The alternative would be for witnesses to be "all over the place" and then they'd be criticised for being out of step (or "inconsistent") with the general lore. From the earliest reports, ETH'ers have always complained that the best evidence tends to get confiscated. 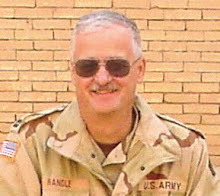 Mayes claim is consistent with the theory that the military has a well drilled protocol of acquiring the BEST evidence and keeping it all to themselves. cda... "The odd thing is that this only seems to happen in the USA." Maybe not.... Nick Pope has spoken about the extraordinarily good photo taken at Calvine in Scotland. The best he had ever seen. That was in possession of UK MOD and that suddenly became off-limits to him. Now, I'm well aware that a snap isn't the same as "physical" evidence but it does go along with the perceived strategy of letting the public only see the blurry stuff. CDA, it may be a common theme, but in this instance it is near impossible as told. Neither Mayes (or anyone) could get from Las Vegas to Socorro in the time from getting a call the evening of the 24th to arrive in Socorro the following day (and prepared with a kit to take samples and perhaps with two others), then return to Las Vegas. What we've got is info from blind men poking at an elephant. If Mayes was at the site the next day, then she was already in Socorro or nearby, and someone involved would have to have known that. The furthest away she might have been was Albuquerque (which was her home at the time, or, at least, she had close family there). As best I can tell from a few documents, is she did a lot of fieldwork in the early 1960s. I haven't put together a chronology or bio for her, but there was a Mary Mayes at NTS, and a Mary G Mayes at Sandia, and I think somewhere I have a reference to a Mary Mayes at Kirtland. I don't know what territory the PHS Southwest in Las Vegas was then, but I assume Nevada, Arizona, and New Mexico were included. The blind men are: Kalapaca, who made a "remark" that set McDonald onto some research; McDonald himself; Friedman, who knew the name of her employer (PHS SW) and maybe knew her name; Moore; Senn, plus Clark, Hall, and Stanford, and now Kevin, and myself. To be there on the 25th, of the names of officials we know were there, she would have been there at the request of Holder or Byrnes. The FBI was in Socorro down from Albuquerque, I'll note. There are some odds someone from NMT may have had input -- guys who knew something about soil and rocks were right there in abundance and with labs. For the plants, they'd need a biologist; still anyone can snip twigs and bag them. If Mayes was there as a federal employee and at request, then there was a client which was entitled to her work-product which they'd contracted for. If that client wasn't the USAF, without authorization, they had no right to it. I just don't see USAF involved on the 24th (although there is a slight trace of that). If she was a Mary Mayes who was at any one of 'Sandia', 'Kirtland', 'NTS', doing biological radiation research, then she likely had a security clearance of some sort, too. If it was classified, then she'd need no warning, except pro forma for the record, to not talk about it to unauthorized persons. 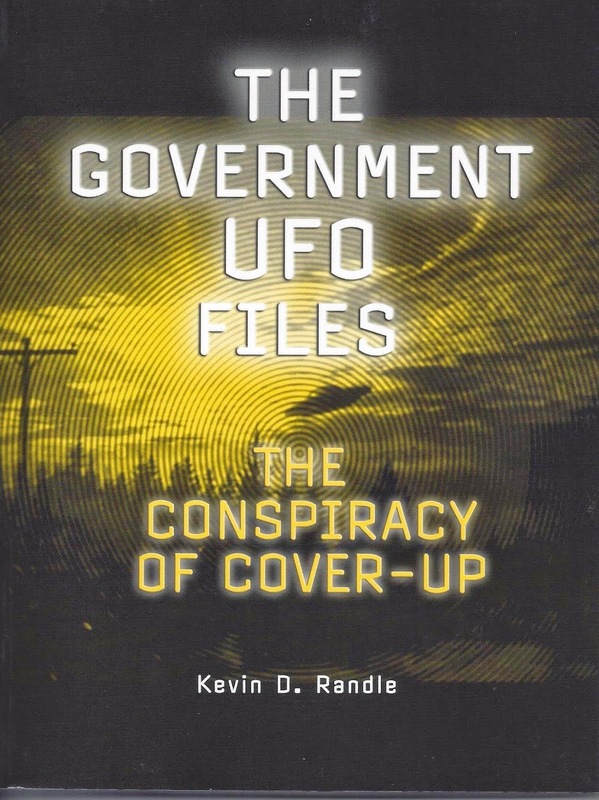 So, CDA, you are both right and wrong: right to see the UFO/ET 'genre' of the account, but wrong to dismiss it. The gist of the story may be true. PS Kevin, a slight correction on Rumpf. I didn't find a photo copy of the Marriage Certificate, but the State of New Mexico's marriage database entry. Everything on it was correct in detail, but I don't know anything about the witnesses. The real cert would be on file with San Miguel parish or the Diocese. That would have the witnesses signatures. Usually, after the ceremony, the priest will have the witnesses sign the cert. The signatures are the actual evidence, rather than the state db. If it ever is important enough to confirm, the cert or a photo copy can be obtained (I assume it isn't lost or misfiled). My instinct, fwiw, tells me at least two of these three knew each other in the army during the war, or in the mining industry: Ray Senn, Mary's first husband Bob Mayes, and Vincent G. Rumpf. Kevin, I've posted up onto http://www.foreshadower.net comments and information on the Mayes issue. I haven't had the time to prep images for uploading, though. I think my "instinct" was accurate. For example, Mary's husband Robert attended NMIT and retired after 31 years in the Army Corps of Engineers. While he was there, perhaps Mary spent lots of time in Socorro with him. I've a lead that some Mayes, possibly their son started NMIT in 1964; if so, there are odds she was in Socorro that Spring for that reason. Something is not right about McDonald's account. The evidence is getting strong that Senn knew her, and if so, did Senn lie to Moore? Or did Moore lie to McDonald? 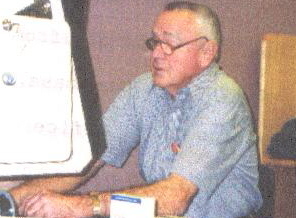 Vincent G. Rumpf may have been a mining engineer, as well. I don't think there were any lies. It might just been a matter of timing. Senn was asked about Mary Mayes and he might not have known that she was actually Mary Rumpf. So, Senn told the truth when he said he didn't know her or more accurately, I suppose, was that he didn't recognize the name. Moore communicated to McDonald this inaccurate information which he found some what confusing. The real problem here when McDonald talked to her and she said she didn't know what Senn said he didn't know her, she didn't say that he might have known her as Mary Rumpf. So, no one was lying here, just a confluence of inaccurate information and a failure to ask a relevant question or two. Kevin, I agree there may not be any lies, but it has to be kept in mind, until we are moved beyond a reasonable doubt. Nearly all the evidence is circumstantial and not beyond reasonable doubt, but it is building up a 'weight' which indicates that Mayes was known in Socorro at NMIT at this time. You wrote "Neither of them [Senn and Chavez] saw any melted sand on the site and neither remembered Mayes, though in his letter, Moore incorrectly identified her as Nayes. He also mentioned a Mary Rumph...". Does this mean Moore mentioned 'Rumph'? If so, how did he learn her maiden name? As for no one else noticing the fused sand. If it existed, it may have been covered with sand. It was a windy spot and it was April. Hynek wrote there was a lot of detritus blown about getting snagged on the bushes. Just kicking up some sand walking about can bury things. She may have tripped over it, or knelt down on it to take a sample, uncovered it and took it with her (or gave it to someone at NMIT). Zamora, describing seeing the flame from the highway: "Noticed some "commotion" at bottom -- dust? Possibly from windy day-wind was blowing hard". Then the object takes off, kicking up more sand. Having her account (via McDonald), all of which is verifiable, names (Mayes, White, Rumph), employer (Las Vegas SW US-DHS), expertise (biology/radiation), except for the fused sand, leads me to think there likely was fused sand. That anyone could come to the conclusion that there "likely" was fused sand is why UFOs will always be the realm of scientifical buffs with their pretend analyses. Not one scrap of actual evidence and much disconfirming evidence but Don still thinks fused sand is "likely". ALL roads for UFO buffs lead towards supporting the UFO religion. Lance the problem you have is the same as CDA has. You've got spaceships and aliens haunting you. You and he are the ones talking UFO here. Why can't you two stop talking about it? Repetition compulsion? Weird Tourette variant? Again, I ask you, why do you immediately think "ET" at the mention of fused sand? I didn't think ET. I just thought hack UFO buff bias. If you don't see the folly of just accepting an unproven claim in the world of UFO's, then you are more deluded than I imagined. This is a world where claims are made without end. It's also a world where those claims fall short almost without exception. To hear an unsupported claim of fused sand and assuming it to be "likely" without any actual evidence (and, indeed, considerable disconfirming evidence) is an example of what makes UFO discussion a worthless sham. Lance, unless you have no memory at all, you are aware I am not a "believer". I don't care about all this yammering between "skeptics" and "believers", and don't care about the "world of UFO's". What is the "considerable disconfirming evidence"? Do you even know what the word 'likely' means? 1. such as well might happen or be true; probable. Sort of like your belief that it is likely the crew in the Kelly Johnson case saw a lenticular cloud. It is likely, with no evidence except a probability. So, climb out of the trees. The reason I think it likely there was fused sand is that the Mayes story, via Kevin, via Friedman, via McDonald is pretty accurate. It is therefore 'likely' or 'probable' that other parts of the story are accurate, including the fused sand. An armchair skeptic with evidence? Hell must've frozen over. There is nothing that suggests Mayes was there other than her tale that she was. No one who was there on the first night or the next day remembered either the fuse sand or Mayes herself on the scene. She claims that the Air Force took the sample and all her notes and results, but there is nothing in the various files to confirm this. McDonald said that Holder wrote a five page report, but I haven't found that. Analysis of the soil on the site by others such as Charles Moore suggest that there was no wide-spread high heat there, and I qualify it that way because there is some evidence of burning on the bush and surrounding grasses, but nothing that caused any fusing of sand beyond what Mayes claimed. 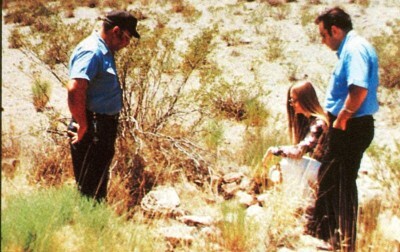 Your research suggests that she was aware of the sighting based on her being in the area, knowing people in Socorro, and her residence at the time apparently in Albuquerque. I had been wondering, if she invented this tale, why she would have done that... but given her connections to Socorro, it doesn't seem to be beyond the realm of possibility. It might just have been she told the story to Friedman after his lecture for some sort of self gratification, never thinking it would get to McDonald and further research. However, when Lance mentions the "disconfirming evidence," he has the evidence on his side. There is nothing to prove that she was there the next morning other than her tale, but quite a bit suggesting that she wasn't. Kevin: "No one who was there on the first night or the next day remembered either the fuse sand or Mayes herself on the scene." Who are "no one"? All I know is you have written that McDonald had written, that Moore had written that Senn and Chavez did not recall (anyone like) her being there. "She claims that the Air Force took the sample and all her notes and results, but there is nothing in the various files to confirm this." That is true. So what? Where in PBB in a major case do you find complete records of it all? I'd like to read it. 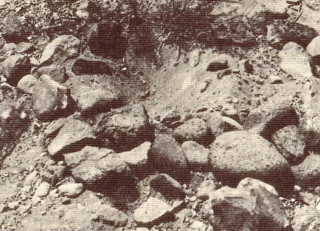 "Analysis of the soil on the site by others such as Charles Moore suggest that there was no wide-spread high heat there, and I qualify it that way because there is some evidence of burning on the bush and surrounding grasses, but nothing that caused any fusing of sand beyond what Mayes claimed." There wouldn't be if it were fulgarite or trinitite. Fulgarite would be expected there if it were found. Trinitite would be a sure sign of a hoax. If it were similar to the unfused sand around it, we'd want an explanation for that. "However, when Lance mentions the "disconfirming evidence," he has the evidence on his side." "There is nothing to prove that she was there the next morning other than her tale, but quite a bit suggesting that she wasn't." What does this mean except ufologists let it sit for over forty years until everyone was dead (I exclude Dr McDonald. He had other things on his mind back then)? "As for no one else noticing the fused sand. If it existed, it may have been covered with sand....."
Does anyone know if there was ever an attempt (after the initial flurry of activity immediately after the event) by someone other than the government investigators to systematically search the site like one might do in an archeological dig? Is the "burning bush" that was supposedly under the center of the object still there today? Does anyone know who owns the land? If someone wanted to do a cold case search of the site, who would have to give their permission? I'm guessing that someone reading this site might know the answers \. The UFO religion is built upon apologetics like this. Or maybe the fused sand was in another dimension that was only tuned to Mary's vibrations? Larry, you sure you don't want to regale us with your other observations about the sand (that you or no one has ever seen or has proof of). Perhaps again connect it to the Trinity explosions, etc. etc. At this point in the sad spectacle that is UFO discussion, if any investigator had a shred of intelligence, he could surely see that such rationalizations have produced exactly nothing except a foolish fan fiction mythology. Larry, I doubt there has been an archeological study of the site. If what one hoped to find were not large and heavy, it is likely further down the arroyo (wash). For example, the original campground in Arches was abandoned decades ago (I know it was not in use in the early 70s). My wife and I found the trash from it about a mile (as the crow flies) down the wash from its original location. If one knows where to look, it can be seen on Google Earth. I doubt Lance has spent time in deserts, so ignore his babble. I have no problem with the fused sand. I DO have a problem with those anonymous guys in uniform who turn up, demand the witness hand over the fused sand (or any other hardware), under the possible threat of death if they dont. It is such an easy claim to make, and of course some ufologists love to take it seriously, as it becomes another platform for conspiracy theory. And we all know there is a grand official conspiracy don't we? What on earth does 'fused sand' prove anyway (apart from the fact that sand can fuse)? No one said a word about threats. Just that these anonymous guys showing up. The problem here is I don't understand how they would have learned that Mayes had the stuff since no one in Socorro actually saw her. "I have no problem with the fused sand. I DO have a problem with those anonymous guys in uniform who turn up, demand the witness hand over the fused sand (or any other hardware), under the possible threat of death if they dont." What Kevin wrote about "threat". But you are right that it seems a bit UFO genre. I wrote (above) that I think the idea of it, as well as Mayes travelling to and from Las Vegas, is not reasonable. "What on earth does 'fused sand' prove anyway (apart from the fact that sand can fuse)?" If it existed (and thanks to Larry for actually quoting me), then it could clarify things. See my comments on fulgarite, trinitite etc above. Kevin: "The problem here is I don't understand how they would have learned that Mayes had the stuff since no one in Socorro actually saw her". I'm (and everyone) is at a disadvantage because we do not have photocopies of the correspondence, as you do. I don't even know if it was handwritten or typed. As I wrote (above) If the USAF was the PHS's client, then it was the USAF's property and they had every right to receive the evidence and the report. Did she say they took fused sand? From the quotations you offered I do not see that. Maybe my reading is faulty, but I thought it was the report on the plants. It's been awhile since I've read the PBB files. I recall a soil test, lots of drawings and photos, and inquiries to likely sources for the object. I don't recall any reference to plant analysis. Moody had a burnt twig and a report about it. A year later Hynek takes a sample or attempts to. He got an infection (never break your skin on a desert plant, folks). Why take a sample a year later if Moody already had one from their first visit? No doubt Stanford and the Lorenzens took some twigs. Did APRO analyse plant samples? Did PBB request them from APRO? So, we have a soil sample report and no plant sample report in the official files -- or have I missed something? If Friedman's story is accurate about the USAF getting the plant samples, maybe PBB didn't know about it. Kevin, again, who are "no one"? I don't know. Lonnie Zamora? Sam Chavez? Richard Holder? Arthur Byrnes? Sgt. Castle? Jim and Coral Lorenzen? 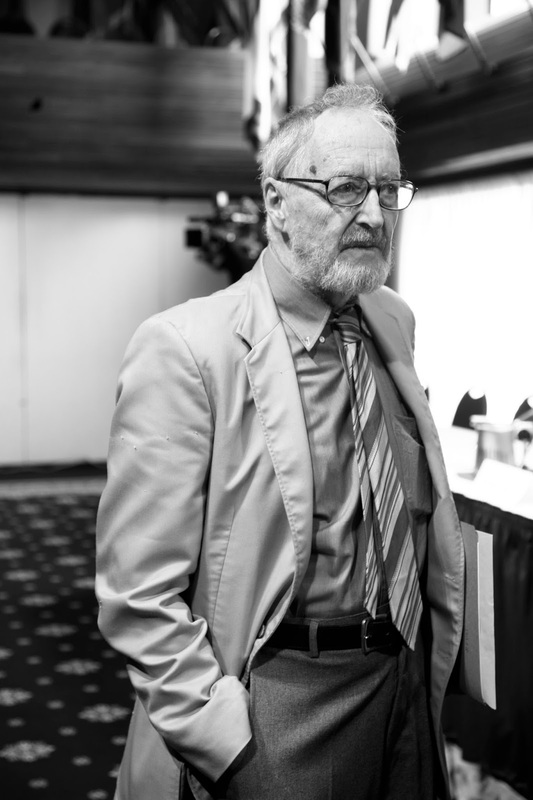 J. Allen Hynek? William Conners? The Socorro Police Department? The US Air Force? More to the point, can you name anyone who saw her there and reported on it? No, I can't, Kevin. I'm only aware, so far, of Senn and Chavez being asked about her. We don't know if the others saw her or not, and now we can't ask them. PBB: the soil showed no signs of foreign material, and no radiation above the norm for the area. The burnt bush (I guess Moody's) showed no signs of propellant. A third twig-taker from the site is the FBI which took a "small sample" to Albuquerque. I haven't found the report on that, yet. I'll browse APRO and see if they posted test results. The USAF soil test is of interest. I know there's a story about a big chunk of fused sand (which may be from the correspondence or not, and I'm okay with you not posting up the correspondence, whether by agreement with the source, or if you want to keep it for a book, or just don't feel like doing so. It is just 4th hand to me), but the likelyhood (if it existed) is rather small bits of fused sand mixed in with the normal sand. I don't know where the USAF got its soil from. I'd guess from around the indentations the "legs" made (they were very interested in them). The Mayes samples were from the area of the flame. "It might just have been she told the story to Friedman after his lecture for some sort of self gratification..."
CDA should note this is UFO genre, witnesses come forward to gain some advantage, psychological or celebrity. What about this: it was a hoax on Friedman. They got Mayes' name out of a professional directory, or maybe they heard her speak at NMT earlier that month, and got a female hoaxer to pretend to be her. Like all UFO evidence, that which is imagined to exist is always so much better than the sad stuff we have in hand. Lance, there's nothing like looking for finding. Did you think that through... someone hired someone to fake out Stan Friedman... but then Mayes was contacted and went along with the tale... and either way, it ends up as a hoax. The evidence does not support this tale no matter who mentioned it to Friedman first. Kevin: "Did you think that through..."
You are referring to hoaxing Friedman? That was a joke. I thought it better than Mayes was looking for celebrity by kissing up to him. Since, according to CDA, Friedman is a veritable Hercules of animal magnetism, maybe he ensorcelled Mayes into believing she had fused sand. Or, what about this, you're hoaxing me. By even bothering with these 4th hand fragments of purported correspondence, I'm expressing great faith in your probity. Stipulating that those fragments actually exist and those words and sentences you've quoted appear in them, here is the likely candidate for Mayes for these reasons...etc. That's what I'm presenting, and you're welcome. As for fused sand, being at the site, a family friend of Ray and Frances Senn, and Vincent G. Rumpf, that requires something more than the low hanging fruit I've gathered. There is no proof she was there? That's true (and it is not my fault there is none). There is evidence that of all the Mary Geraldine Rumph Mayes Whites in the universe in 1964, the one I'm presenting would be the one who would have been there. That's all I've got that's strong enough to go with. There is still another trace to confirm before approaching her and fused sand at the Zamora site. There's no point in me reinventing the wheel, so I don't bother speculating about spaceships and humanoids, or Lunar craft, or hoaxes. Instead of these things at the center, I look for traces at the margins of the tale. Just how well did McDonald know her? Do you really want to go there? You write, "Or, what about this, you're hoaxing me. By even bothering with these 4th hand fragments of purported correspondence, I'm expressing great faith in your probity. "Stipulating that those fragments actually exist and those words and sentences you've quoted appear in them, here is the likely candidate for Mayes for these reasons...etc. That's what I'm presenting, and you're welcome." This is insulting. You're suggesting that I have made up the quotes... but there is no evidence of that, and some of them come from sources that are on line. Other quotes are in the companion piece preceding this one so that you can see them yourself. Of course, McDonald didn't know Mayes other than their brief interactions. The letters that I quote are certainly not fourth hand. Moore's report on what he found on his examination of the site is first hand. He was there. The only thing you have is the second-hand story told to McDonald, but we have nothing other than that story in the way of evidence. None of the documentation supports it, none of the analyses of the soil samples supports it and there is no testimony to support it. Was there a Mary Mayes? Sure. Did you talk to Friedman about this? He says so. Was she interviewed by McDonald? Apparently. Was she telling the truth? Probably not. Why? Who knows?